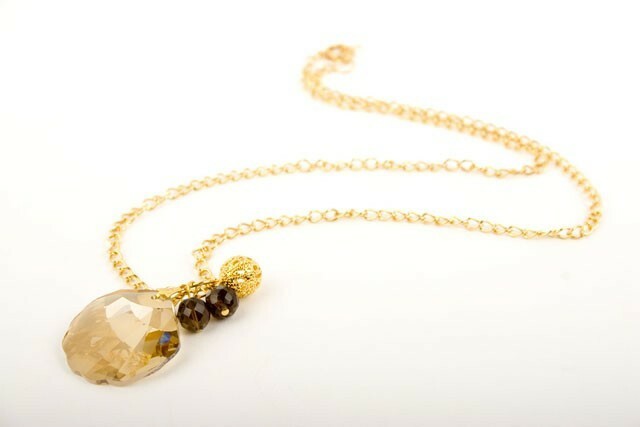 Faceted Swarovski Crystal seashell pendant in topaz hung from a 24 inch gold chain. Swarovski Crystal pendant measures 20 cm in diameter. The Swarovsk crystal seashell pendant has precision cut facets that give a lovely sparkle and is teamed with 2 faceted Czech smoked crystal beads and a gold filigree bead charm.